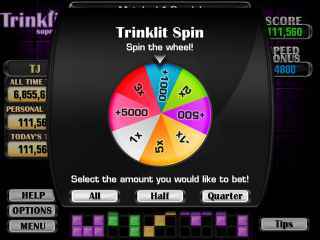 Free Download Trinklit Supreme Game or Get Full Unlimited Game Version! 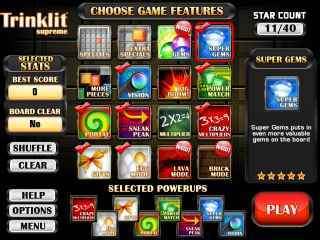 Dive into a fun Puzzle game in Trinklit Supreme! Deceptively simple, but challenging to master, Trinklit Supreme is an exciting adventure! In order to get advantaged of playing Trinklit Supreme full unlimiteg game version you must register the game. Slingo Supreme is the sequel that's packed with Slingtastic fun! Unlock new powerups and build your own top scoring Slingo game! Play the Solitaire you know and love with special Kingdom Cards that will give you fantastic new game changing powers!